Enjoy and Don’t forget to remember me in your prayers. Microsoft is only allowing submission of Windows Phone 7.0 for certificaiton. Mango release will be available soon. But, I have migrated all the new changes back over to 7.0 and is now on it’s way for certification. Once certified, it will make it’s way to the Marketplace. I will keep you updated on when to expect it in the Marketplace. 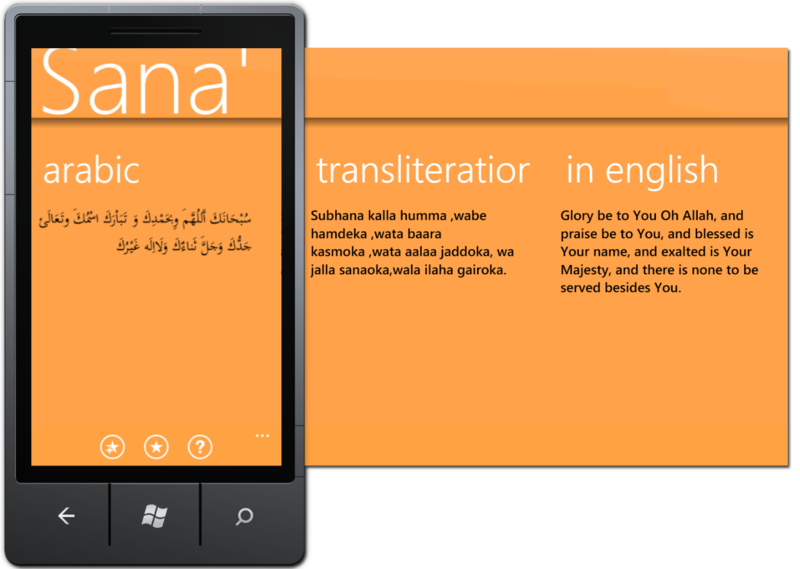 Added Search feature to Instant Duas that will let you search by Dua Name, Transliteration, and English Translation. So, if you know a part of an Arabic dua, just type it up and it will look for it in it’s transliteration. Delay in this coming update was due to slow rolling out of Mango update by carriers. More duas are being compiled and will be rolled out with next release.